Get Exclusive Savings with coupon codes, free giveaways and more! Our Small Business program is perfect for an independent business owner who may need creative assistance from our design team. Our Corporate Business program is a good fit for clients with multiple locations, franchise opportunities, large facility projects, schools, or non-profit and government agencies. The Designer & Trade program is tailored specifically for licensed architects, interior designers and general contractors. 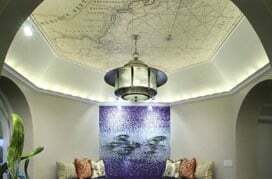 At MagicMurals.com, we take pride in working with our small business clients to provide creative, custom mural solutions. Our experienced mural experts are here to help you every step of the way, just like we've done for thousands of other small businesses. Many of our business clients already have a clear objective and vision for what they intend to accomplish but rely on us to make their dream a reality. As a fellow small business, we understand what your brand means to you, and we are here to provide mural solutions that promote your brand and enhance your décor. 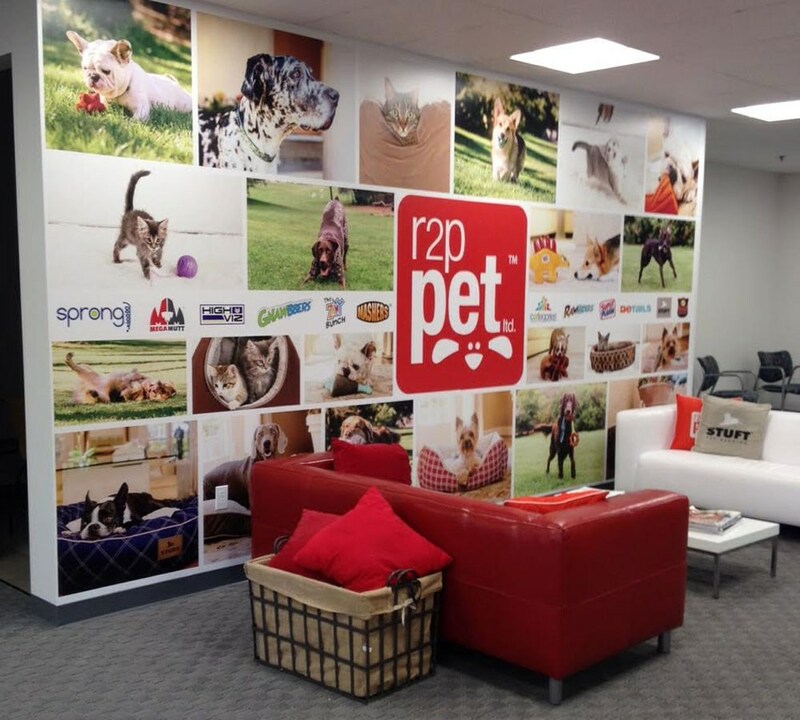 As a small business client, you’ll always receive friendly, personal service from our team members as we seek to earn your business by providing you the perfect wall mural for your space. When it comes to experience and expert advice in selecting a compatible material for your wall mural, look no further than Magic Murals. We understand varying wall surface types along with the challenges they can present. Our selection of fire rated, premium quality materials have been researched and tested to provide maximum compatibility performance. To learn more details about our wall mural material options, we encourage you to visit our Compare Materials page or call us for further assistance. Complete the Small Business Request Form below for our exclusive offers. Can I add text or logos to my mural? Maybe you want to add your Company Logo, an inspiring quote, a bible verse or a wedding date to your mural. We're more than happy to help with whatever it is you're asking. Love the palm trees but hate the hammock? Want us to add a faux-wood border to create a framed look to your mural? Chances are we can customize it to your liking. Fill out the form on this page and let us help! How do I make sure my custom image is high enough quality for a mural? Wall murals require high-resolution imagery to print well and most modern professional digital cameras will provide a good quality image. iPhone and Android photos may not work well but we always recommend you select our "Submit for Review" option prior to ordering a custom image mural. If there are any issues we will contact you to discuss options. For more details, check out our Image Quality Guidelines. What material should I choose? We offer 4 choices of wall mural materials online and have several special order options as well. Our exclusive QuikStik™, QuikStik Plus™, UltraStik™, and ProStik™ materials each feature a matte finish for extremely vibrant colors and reduced glare. All of our online materials are recommended for indoor applications only and are not rated for outdoor use. Visit our Compare Materials page to learn more and Request Swatches to get a first hand preview. Do you offer design help? We sure do. From simple proofs and mockups to image alteration and manipulation, our graphic design team is here to help. Whether you need technical help from our team or just a little creative inspiration, we've got the experts you need to turn that project into a reality. Fill out the form above and tell us about your next mural project. How long does it take to get my mural? "The children and parents love it!!! very easy to install. Plus, it looks amazing." mural went up as described. Couldn’t be more happy. Thanks for the quick work." our elevator doors did not look to appealing. reasonable cost and are very happy with them." We have extensive experience in creating murals for thousands of companies. 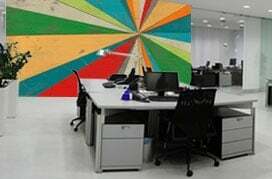 We manufacture custom printed wallpaper wall murals, window films, non-slip floor coverings and other wall- and surface- covering products (table tops, stair risers, cabinets, concrete, etc.) that allow you to design without limits and truly serve and impress your clients. 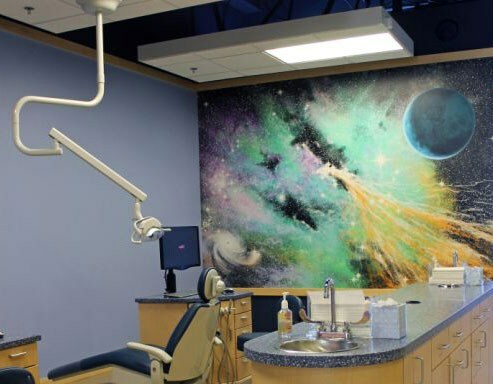 Our team works with you to create murals that represent the personality of your client's business and give their walls and other surfaces the environment they desire. Check out the variety of business categories below to learn more about our business services and product options for each industry segment. Please give us a call at 877-448-7295, contact us here, or email us at service@magicmurals.com if you would like to discuss your project or if there is anything else we can do to help. We may be a "dot.com" business, but we'll take care of you as if you were our neighbor across the street. 100% satisfaction - that's our promise.